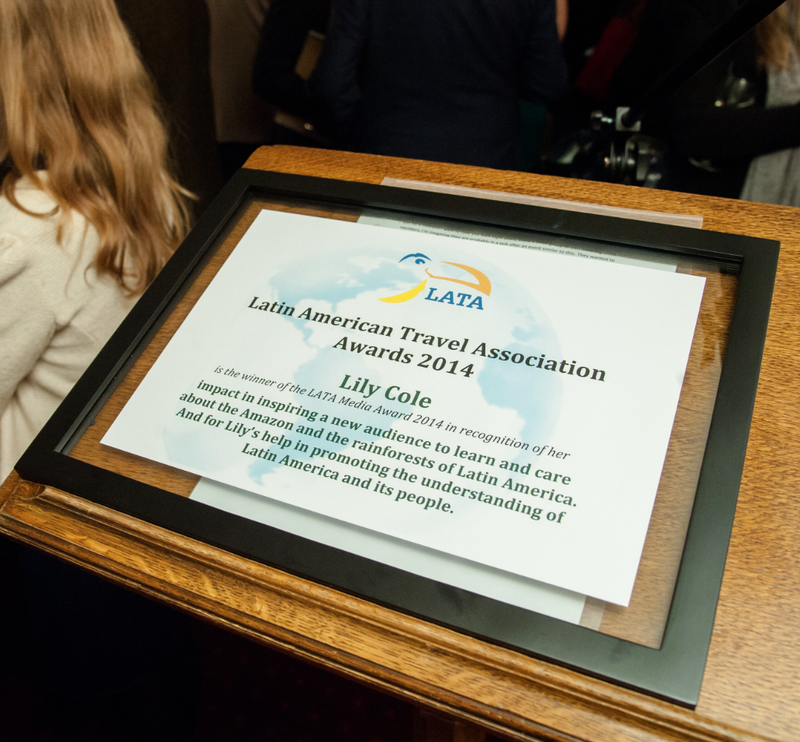 Environmentalist, fashion model and entrepreneur Lily Cole has been honoured with the LATA Media Award for 2014 at a ceremony in the Palace of Westminster. 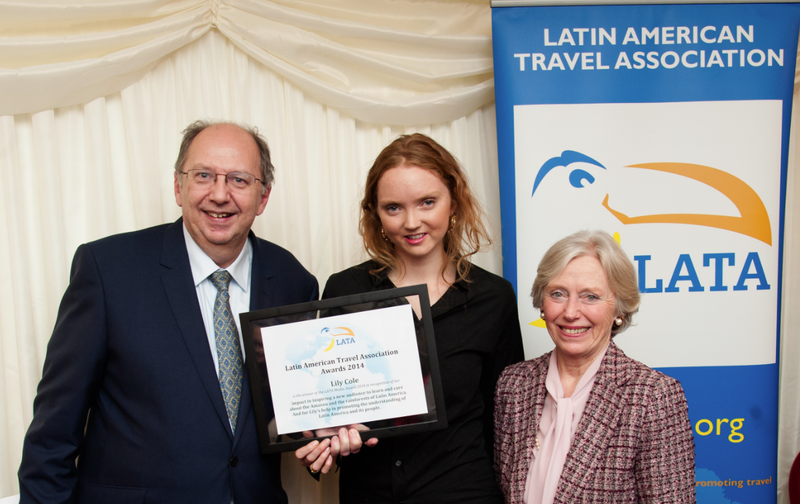 The presentation took place on Wednesday, 5 February 2014 during the All-Party Parliamentary British-Latin American Group and Latin American Travel Association’s ninth annual reception. Lily was following in the footsteps of the award’s most recent winners Jonathan Dimbleby (2012) and Michael Palin (2013). Christopher Pickard, chairman of LATA, said Lily had been chosen for the way she had used the media to help educate a new audience about the Amazon rainforest, its benefits to mankind and also the perils that such regions of the world face from both nature and from human beings. Cole has visited the Amazon in Brazil where she directed her own short film “Wild Rubber” and featured in Sky Arts’ “Amazon Adventure”. She is very active ambassador for Sky Rainforest Rescue and the WWF (World Wildlife Fund) who between them are committed to saving a billion trees in the Amazon through green economics. Cole has also collaborated with Vivienne Westwood and the EJF (Ethical Justice Foundation for which she is a patron) to create wild rubber fashion and accessories and will continue to explore the potential development of wild rubber. Also presented with an award was Travel Trade Gazette (TTG) in recognition of its 60 years of coverage of the global travel industry and in promoting Latin America to the UK travel trade. The South American Handbook now published by Footprint also received an award for its coverage and impact in promoting Latin America over 90 years of continuous publication (1924-2014). The guide’s editor, Ben Box, was singled out for his incredible achievement of editing the book for the past 25 years. Managing director, Daniel Pearce, and editor, Pippa Jacks picked up the award for TTG, and Footprint managing director Patrick Dawson accepted the award for The South American Handbook. 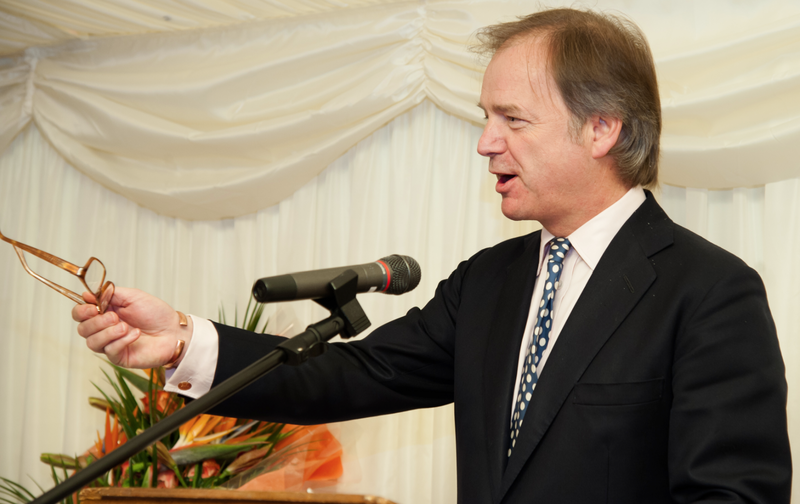 Over 200 guests including members of both the Commons and the Lords, Latin American ambassadors and diplomats in London, as well as travel companies involved with Latin America, heard from the Rt Hon Hugo Swire MP, Minister of State at the Foreign and Commonwealth Office with responsibility for Latin America, and the Baroness Hooper, chairman of the All-Party Parliamentary British-Latin American Group. This entry was posted in Brazil and tagged Brazil, LATA, Latin America by Critical Divide. Bookmark the permalink.